International Journal of Research in Health Sciences,2014,2,4,979-980. Molecular Cytogenetic Unit, S. N. Gene Laboratory and Research Centre, President Plaza-A. Near RTO Circle, Surat, INDIA. 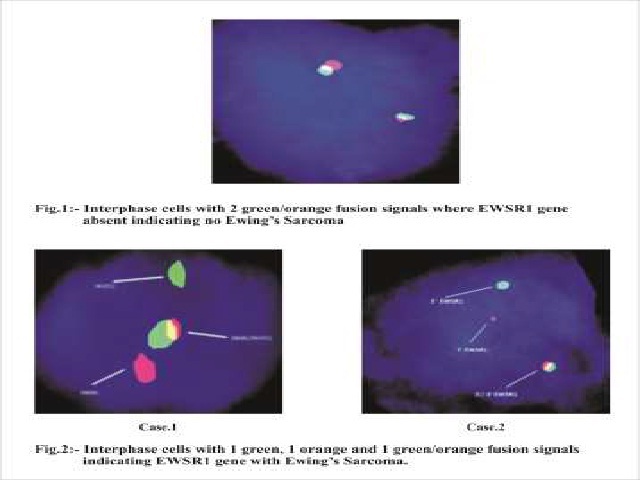 In a retrospective study from 2011 to 2014, prevalence rate of Ewing’s Sarcoma was screened in population of Western India. Out of 15 suspected cases, we found only 02 cases of Ewing’s sarcoma. To our knowledge this is first report from Gujarat covering Western India.